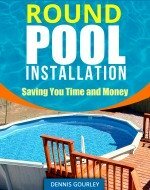 What's New For Above Ground Pools? This is where I report the latest above ground pool news. This is also a place for you to share your pool experience with all of us. Click here and tell us what you did to your pool that might be new and different. I would be especially interested in learning how all of you heat your pool. A channel 5 news team in Nashville Tennessee investigated a pool company advertising a $799 above ground pool. When the salesman got to the house he informed them that they really don't sell the 799 pool because it's junk and then tries to sell them one for $12,000. They call it a bait and switch, advertise one thing and sell something completely different. This company, and others like them, operate all over the country. My advice is to never buy an above ground pool from a salesman that comes to your house. You can find a similar pool at your local pool store or online for less than half the price. It's a good case of buyer beware. Above Ground Pool News - Blue Haven Pools introduces a battery operated pool cleaner that works in above ground pools. It is called the Pool Blaster Catfish. It is maintenance free and uses reusable filter bags. Also new at Blue Haven is their Smart Umbrella. This umbrella features a solar lighting system. Also new at Blue Haven Pools are the Sun Grabber solar panels. These are a great way to swim into the winter months. When used with a solar cover these heaters could be all your pool will ever need. New products get added daily at Blue Haven. Here are a few more recent additions. The wireless pool temperature monitor is a handy way to know the pool temperature before you leave the house. A two year old boy drowned in an above ground pool in Talladega. This type of sad news happens several times of day. We are so concerned about this that we have dedicated a section of this site to the prevention of drowning. Blue Wave pools has named PCPools the authorized dealer for their Arctic Armor pool covers. These covers are high quality with the best warranty in the business. PCPools is one of the leading direct marketers of above ground pools and pool supplies. A 32 year old lawyer came up with a good idea for an old above ground pool that came with a house he bought. The pool is a 14' x 25' oval. The man restored the pool, put a net across the center and a net completely around it. He then started a neighborhood volley ball league. They call themselves the Evelyn Avenue Above Ground Pool Water Volleyball League. The best part is the members pay dues to help cover the cost of the pool. A swimming pool dealer in Indianapolis has a new and innovative way of selling above ground pools. Kayak Pools Midwest uses a unique demo home site program. They offer great savings for customers that will allow their pool to be used as a demo for the first summer only. The savings is substantial and the intrusion is minimal. They will bring customers to your home, by appointment only, at the rate of about 3-4 a month. They feel the customers get a much better feel for the product seeing it in a yard and being enjoyed by a family. After the first summer your obligation is fulfilled and you have just saved a bunch of money. It sounds like a win-win situation to me. What's new with your above ground pool? What have you done with your above ground pool? Please show and tell.